With a father who worked as a surgeon, Dr. Roth knew early on that he wanted to help people, too. His father, however, disenchanted with the medical profession, introduced his son to chiropractic care. During high school, Dr. Roth studied chiropractic and fell in love with the idea of health care free from medications and surgery. Dr. Roth attended Northwestern Health Sciences University to obtain a Doctor of Chiropractic. The postgraduate education he’s undertaken includes topics such as wellness counseling and occupational health and safety. He is licensed to perform nutritional counseling by the state of Wisconsin. Additionally, he is a member of the International Chiropractic Pediatric Association and is certified in the Webster Technique for expecting moms. “I love seeing my patients get results. 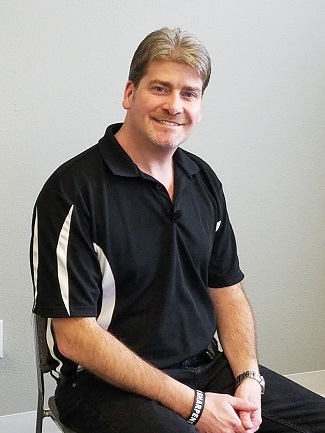 When someone comes in and tells me their headaches are gone, that they can do their job without pain or their child no longer wets the bed, I feel so gratified.” His goal is to create an imprint on the world where more people have access to chiropractic care and understand what it is and all it can do for them. Being a dad is the best part of Dr. Roth’s life, and he enjoys spending time with his two children. He’s an assistant hockey coach and supports our community by volunteering in different capacities. Born and raised in Antigo, he’s pleased to be a part of his home community again. He’s a 5K enthusiast, especially enjoying color dashes and likes to be outside on the water, swim, exercise and eat healthy foods. Contact In Balance Chiropractic in Antigo today to learn more or schedule your appointment! Dr. Roth offers complimentary consultations.